Virgo's are modest, meticulous and reliable, diligent, intelligent and analytical but she can also be worrisome and fussy, very critical and harsh. Virgos are perfectionists and have conservative personalities. She appreciates good health, hygiene and likes to those who are wholesome but does not like filth, poor health and sloppy people. 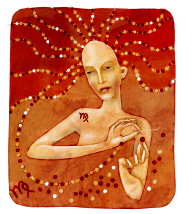 The Taurus gal is patient, reliable, loving and determined. She likes tranquility in relationships. But she can also be possessive and very jealous, resentful, inflexible and quite self-indulgent. She also likes stability and comfort but hates to be pushed, disrupted or rushed. 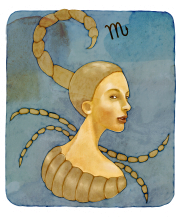 The Scorpio is ruled by passion. She is determined and forceful, deeply emotional, very intuitive, investigative, powerful and very magnetic. But her passions also cause her to be jealous, resentful, obsessive/compulsive, secretive and also very stubborn. 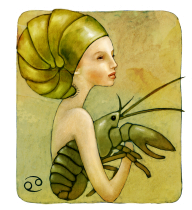 The Scorpio gal likes to be persuasive, truth is very important to her, she likes hidden causes too but does not care for withheld information. She dislikes shallow people, people who attempt to take what is hers, flattery and in turn flattering. 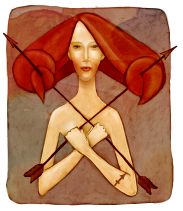 Sagittarius is an optimistic sign, she is jovial, honest, straightforward and philosophical. But she can also be falsely optimistic, almost careless and tactless, and she can be both irresponsible and superficial. 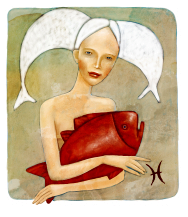 The Pisces is a sensitive sign - she is imaginative and gentle, compassionate and kind. She is not worldly but is very sympathetic. She is also idealistic and vague, she can be weak-willed and easily led. She likes to live in a dream world, odd and ridiculous things, she does not care for people who "know-it-all" and being criticized. 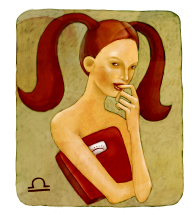 The Libra gal is diplomatic, romantic, easygoing, sociable and idealistic. The is also easily influenced and gullible, indecisive, flirtatious and self-indulgent. She appreciates the finer things in life and sharing she also dislikes violence and people who are slaves to fashion. 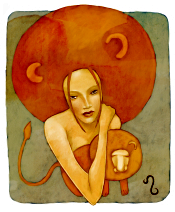 The Leo is generous and big hearted, creative, enthusiastic, open-minded, faithful and loving. But Leo can also be vain, patronizing, bossy, interfering and intolerant. The Leo also likes drama and living a lavish lifestyle but does not care for mean people or a boring, staid existence. 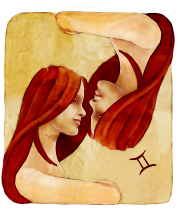 The Gemini gal is adaptable, communicative, eloquent and witty with a youthful persona. But she can also be nervous and easily stressed, cunning, superficial and inconsistent. She likes to talk, she likes to multi-task but she does not like to be be either tied down or alone. 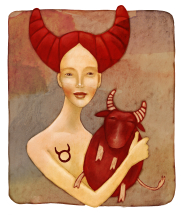 The Capricorn gal is practical and ambitious, disciplined, patient and cautious, humorous but reserved. She can also be fatalistic, her glass half-empty and she can hold grudges. She likes professionalism and reliable situations. 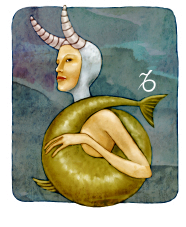 Capricorn dislikes mockery and people who live their lives in fiction or fantasy. 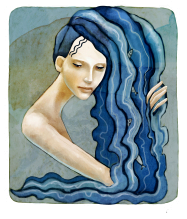 The Cancer gal is emotional and loving and protective, Intuitive, shrewd, careful and sympathetic. She is also moody, can be too emotional, touchy and clingy. She is a romantic, likes babies but dislikes, failure, being given advice or told what to do. 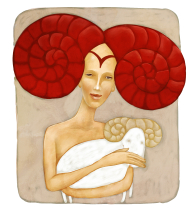 The Aries gal is courageous, adventurous and energetic, confident and a quick thinker. She can also be selfish and hot-tempered, impulsive, foolhardy and impatient. She likes winning and spontaneity but dislikes getting advice and admitting to failure. The Aquarian gal is friendly - she can be considered a humanitarian, she is honest, loyal, she like to be original she's independent and an intellectual. But she can also be intractable, perverse, unpredictable and fairly unemotional. Aquarian's prefer to plan their future and dream big. She likes having fun but hates to be lonely and imitation.